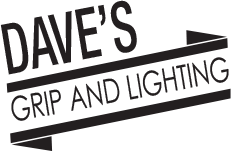 Let Dave's Grip and Lighting provide your next shoot with a 10-ton, 5-ton or 3-ton grip truck rental package. Packed with all new grip gear from Matthews Studio Equipment, brand new flags and rags from LA Rag House, and industry standard carts from Studio Carts, the Moving Picture grip truck is ready to go at a moments notice for your next production! 4- 1K OPEN FACE 2- LOW COMBO GRIP CONT. 1- 10" C-CLAMP W/ JR RECPT. SET OF BASSO BLOCKS (HALF 1 EA. CINEFOIL 12" AND 24"
Let Dave’s Grip and Lighting provide your next shoot with a 10-ton, 5-ton or 3-ton grip truck rental package. Packed with all new grip gear from Matthews Studio Equipment, brand new flags and rags from LA Rag House, and industry standard carts from Studio Carts, the Moving Picture grip truck is ready to go at a moments notice for your next production! 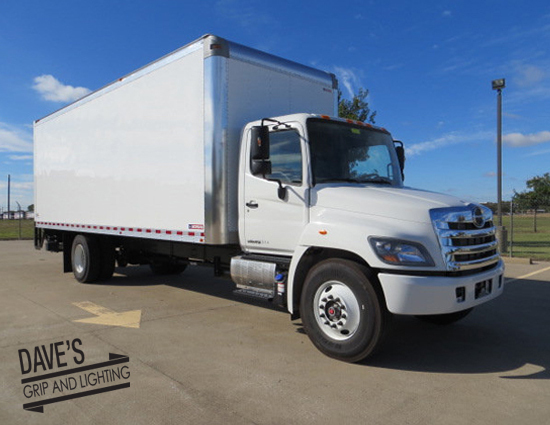 Our trucks were designed by a Florida grip and lighting professional with 30 years of combined location and rental house experience and is one of the few smaller grip trucks available in South Florida with a full sized 7’x8′ 3300lb lift gate. This will keep your crew happy, and your load-in/load-out time to a minimum! Do you just need to rent lights? No problem. Moving Picture stocks only the best lighting from ARRI, Kino Flo, K5600, and Litepanels. With ARRI Fresnels, ARRILITE open face, ARRISun HMI and, ARRIMax HMI lights, Kino Flo fluorescents, K5600 Joker HMIs, and Litepanels 1×1 LEDs, Moving Picture has the lights to rent! We can also deliver and setup your lighting rental if you need.